Jennifer Alice Molin, 75, of Freedom, NH and Newburyport, MA, passed on Thursday, August 16th , 2018, following a brief illness. Jennifer was born in Waterbury, CT on March 29th, 1943 to the late Helen M. (Smith) Molin and late Edward G. Molin of Newburyport. She graduated from Masconomet High School in Topsfield, MA in 1961, and Boston University, majoring in history. Jennifer worked as a reporter for the Beverly Times, covering Danvers town meetings and events. 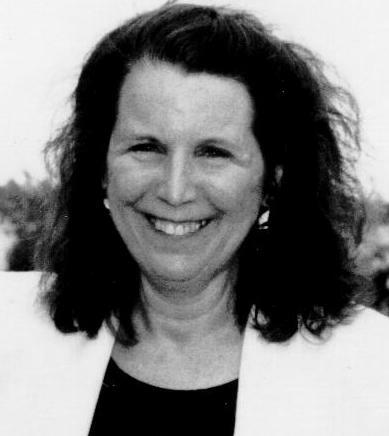 She was a League of Women Voter member, serving as President for several terms, a founding member of the Hunt Foundation for Health Inc., and a Danvers Conservation Commission board member. Along with her friend and neighbor Sally Dugas, she lead a Cub Scout troop, where several boys went on to become Eagle Scouts. She did try unsuccessfully to conserve the woods behind the family home on Wildwood Rd. Jennifer started the company, Creative Concepts, with friends Arlene Cohen, Clara Caldwell and Estelle Appell. Creative Concepts created “survey phone call lists” for The Colonial Bank of Danvers and other businesses. They also published the first phone book created exclusively for Danvers. Using family cars, Jennifer, her kids, the neighbor’s kids, her friends with their kids, would hand deliver phonebooks annually to every home and business in Danvers. In 1981, Jennifer became owner/manager of Northeast EDM, an Electrical Discharge Machining facility specializing in surgical and medical instruments, power generation parts, and aerospace components. This type of business is a specialized process shop and is the largest of its kind in the area. Some of the company’s work is done for University of New Hampshire’s EOS Space Science Center’s program, making it into NASA’s solar wind experiments, spending time in orbit. A member of the National Tooling and Machining Association, and the Boston Chapter (BTMA), for over 15 years. She was committed to its manufacturing mission, serving on the Board of Directors, its Education and Training Committee, and in an effort to inform members and others about the benefits of electrical discharge machining (EDM), she hosted tours and organizational meetings at Northeast. In 2003, a large property, known simply as “Trout Pond” was for sale in Freedom, NH. As a dedicated Conservationist, Jennifer strived to protect this property and its natural resources. She worked diligently and spearheaded the formation of a grassroots non-profit organization, known as the “Friends of Trout Pond”. Moreover, Jennifer’s spirited efforts and commitment proved instrumental in the formation of a coalition of like-minded individuals and interest groups to purchase and permanently protect this land, now known as the Freedom Town Forest. Due to her dedication, the Freedom Town Forest became one of The Trust for Public Lands first community-based forest projects in New Hampshire and served as the “model” for other community-based forests throughout New England. Jennifer’s interest in the Stewardship of the Forest and importance of conserving lands for the pubic continued throughout her life. She was active as a member of The Trust for Public Land’s New Hampshire Advisory Board for almost a decade. In 2008-2009, Jennifer expressed concern that construction of a new Freedom Village Town Center office building was being considered on land to be purchased away from the village center. She organized meetings to discuss how this might adversely impact the village and degrade an important historical property. (The town office building was previously the town grammar school). Years of study and discussion followed, and the result so far is that the town offices remain in place thanks in part to her insight. Jennifer’s passion for preservation and community also initiated The Freedom Village Store project. With a group of residents, she filled an empty building with a volunteer run store that's re-invigorated Freedom village. Opened in August 2009, the store is now in its 10th year. Jennifer obtained the stores 501 (c) status, received approval of a “blue NHDOT highway directional sign” on Rt.153, and worked with The Freedom Heritage Commission, putting the stores 1852 building, on the State Register of Historic Places. As a result, it's now able to receive restoration grant funding. Thank you to our “Original” Jennifer for creating a truly “Original” Freedom Village Store. As we move forward without Jennifer in our daily lives, her spirit and energy will lead us toward the current goal she envisioned for our community. Purchasing and restoring the building! Jennifer also facilitated a network service providing residents with information concerning community happenings, weekly unofficial town meeting notes, upcoming events, information on lost animals, and other community interests. She opened her email system to all who wanted to stay connected to Freedom. Jennifer used to say that her most favorite thing to do in the world was read. She also liked to host formal dinner parties and entertain guests with her violin or piano. She liked to belly dance, curl, ski, snow shoe, skate, ride horses, and paddle on Lake Ossipee. And at the end of the day she liked a good glass of old vine wine. For many of us, there is a huge hole in our daily routines and lives. Many Saturday mornings Jennifer could be found at the store blasting some really great music, dancing with a partner and wrangling help to complete whatever crazy scheme she had cooked up. Her fierce, passionate spirit exuded in her many projects, her smiling eyes captivated, and her enthusiasm for the Freedom community were infectious. Her dynamic presence made a person want to help her and be part of the movement to achieve her vision. Jennifer’s legacies will live on in our hearts and our lives will be better for them. Jennifer is survived by her family of friends in Freedom, those she worked with at Northeast EDM, her daughters Alison Mierzykowski of Philadelphia, PA, Michele Mierzykowski with John Stewart, of Kremmling, Colorado, her sister Janice Colby and her husband Alexander (Sandy) of Ipswich, MA, her brother Douglas Molin and his wife Susan of Hampton Falls, NH; and many beloved cousins, niece and nephews. Jennifer was predeceased by her son, Aaron. Two celebrations of life will be held in Jennifer’s honor. The first will be on Wednesday, September 5th, from 5pm-9pm, at Michaels Harborside, One Tournament Wharf, Newburyport, MA. The second is a “Pot Luck” Irish Wake on Saturday, September 8th, 12pm-6pm, at the Freedom Town Hall, 16 Elm Street, Freedom, NH, across from the Freedom Village Store. For more information on the pot luck, please call The Freedom Village Store at (603) 539-3077. Eleven Elm Street Preservation Alliance, P.O. Box 167, Freedom, NH 03836 A 501c3 tax deductible nonprofit whose purpose is to purchase the building for The Freedom Village Store. The Trust for Public Land, c/o Sarah Erb, 3 Shipman Place, Montpelier, VT 05602 at https://www.tpl.org/tribute-giving.